The Panel from GPT is a 3 inch thick x 2 foot wide, cut to length, R-24, galvanized steel structural insulated panel that also provides cost efficient assembly speed and ease of use. The Panel System is designed to achieve an energy efficient and disaster resistant building envelope for each and every individual application. Our manufacturing division is dedicated to the quality control of each and every component and the integration of component and application engineering. And we deliver these components turn-key to the jobsite as a complete envelope kit, whether the application is industrial, commercial, residential, institutional, stackable, scalable, portable, or modular. The structural insulated interlocking building system has become a globally attractive solution to housing and in most construction applications. Whether addressing the needs of disaster areas, commercial or residential construction, the needs of the US military or others, the G SIP™ Panel System is a viable hedge against rising energy and insurance costs by mitigating severe weather risk and minimizing energy consumption. 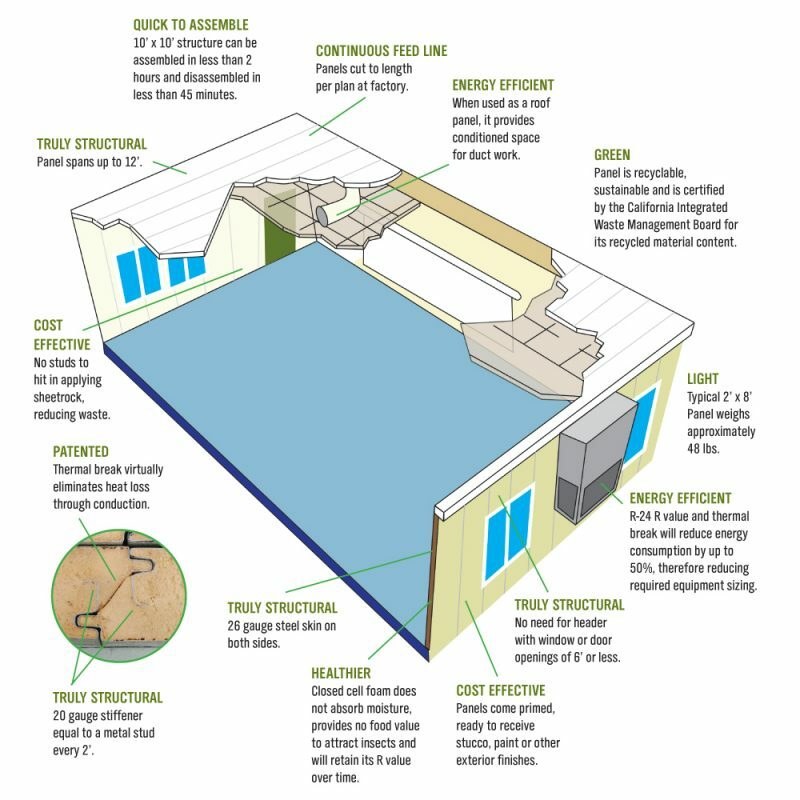 We want to be your GREEN Structural Insulated Panel Company.